How did you celebrate the Chinese Year of the Dog? The Chinese animal zodiac is a repeating cycle of 12 years. Each year is represented by an animal and its reputed attributes. In order, the 12 animals are Rat, Ox, Tiger, Rabbit, Dragon, Snake, Horse, Goat, Monkey, Rooster, Dog, and Pig. 2018 was, in essence, the year of the Dog. And even though it is technically still the Year of the Dog, I find myself very reflective as we approach the year of the Pig. How did you celebrate The Year of the Dog? Let’s be honest, if you love and share a life with a dog then every year is the “year of the dog”. We love spending time with our dogs and our years can be jammed pack full of fun doggy stuff. This past year was no exception for my furry family. This may not sound like a highlight of our year, but it was. Aj progressively started to limp more and more on his front right leg. 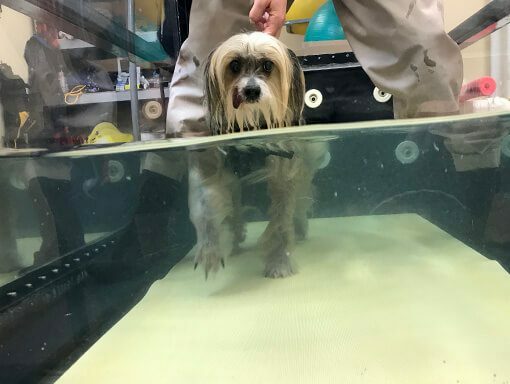 And we battled the onslaught of arthritis with herbal therapies with some improvement but we knew we needed the help of a progressional rehabilitation vet. For years I had a flyer from Lake Shore Emergency vet regarding their Rehab vet Dr. Luginbill. I was so excited to meet her and see how AJ would respond. She and her team are so awesome. And AJ completely wowed us on the first visit. He allowed and actually enjoyed the acupuncture. Not to mention that he didn’t have a heart-attack and die when he got into the underwater treadmill. A full appointment for AJ includes acupuncture, laser, stretching, massage, , balance exercises as well as water treadmill work. We’ve seen really great improvement in his mobility and am so glad we made the decision to add Dr. L to AJ’s care team. In 2017 I enrolled in the University of Tennessee and Fit Paws program to become a Certified Canine Fitness Coach. There are four modules to complete the program and in March of 2018, I completed a big milestone. I attended the three-day intensive hands-on training workshop in Nashville, Tennessee. 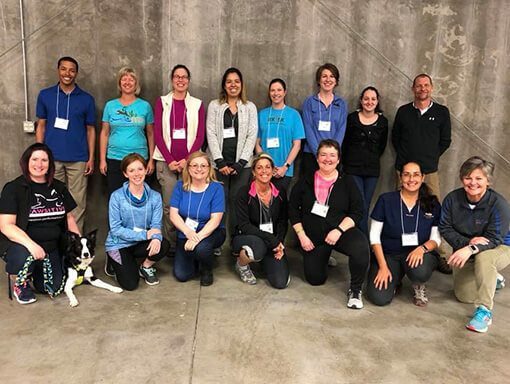 11 other fellow students of the program and 3 instructors gathered at a wonderful facility to learn, share, and learn some more about canine fitness and program developments. This kicked off my deadline for the Case Studies. I submitted and scored nearly perfectly on all three…..hooray. 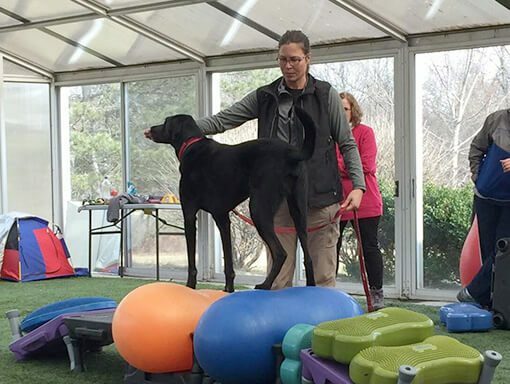 I also started teaching my first Canine Fitness classes to for Loving Paws LLC. I’ve been taking classes with Loving Paws since we adopted Chase as a pup. And Laura and her team of trainers have really become family to me. In fact, Laura has been so generous to offer me a position to become part of her team teaching Canine Fitness classes. I’ve instructed 11 new students and their dogs in beginner canine fitness. 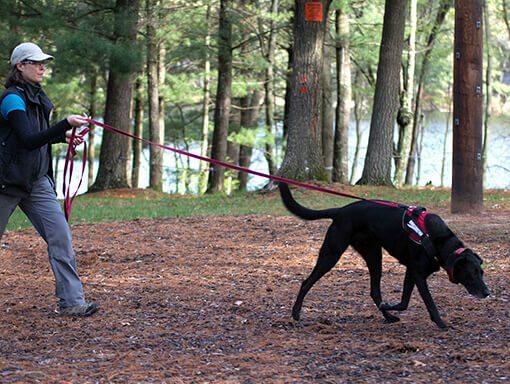 This is so EXCITING to have people considering and bringing fitness into their dog’s lives. And even more exciting that I have the privilege of sharing my information with these pet parents. If you’ve read some of my other posts you know that Chase and I enjoy the sport of Nose Work. We’ve been having sniffing fun since he was an adolescent pup. I’m always looking for ways to improve my understanding of the sport and further our training. I had two special opportunities in 2018. In May I attended the first Nose Work Camp being hosted in Wisconsin. Five days of Nose Work training with instructors from all over the country and hundreds of other “campers”. Joanne, Cider, Melissa, Cricket, Laura, me and Chase stayed at my boyfriends family’s Lake House which was just a 20-minute drive to the camp location. 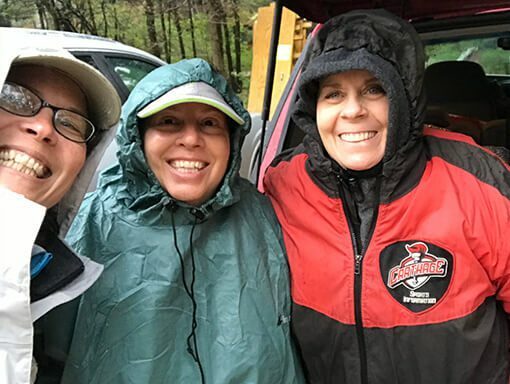 So glad we did because it was raining and cold for most of camp and the lake house was the perfect, warm, dry, quiet place to come back to each day to rest and recharge. The other campers who stayed on site were not as lucky. Overall it was a great experience. I learned a lot from watching the other campers work their dogs. Of course, I also learned more about Chase and me as a team and what skills building we need. Such a fun time spending some fun time with my fellow nose work friends in the beautiful woods of Wisconsin Dells. Another scent work training opportunity was in November. I attended a 2-day seminar about “painting the scent picture” instructed by Amy Herot. Amy is one of the founding members of the NASCW Organization. I had the pleasure of first meeting and training with her briefly at Nose Work camp. 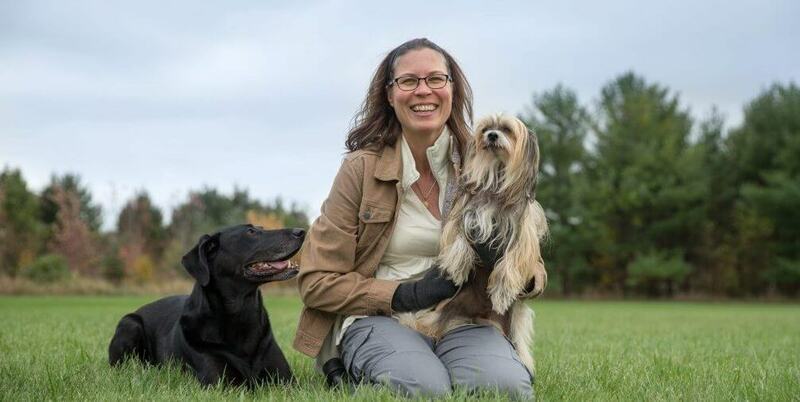 She has been training dogs for professional scent-detecting for a long time and has this incredible ability to narrate a dog working the odor puzzle. I can not even put into words how geeky cool this seminar was. Chase and I also tried a new sport in 2018. 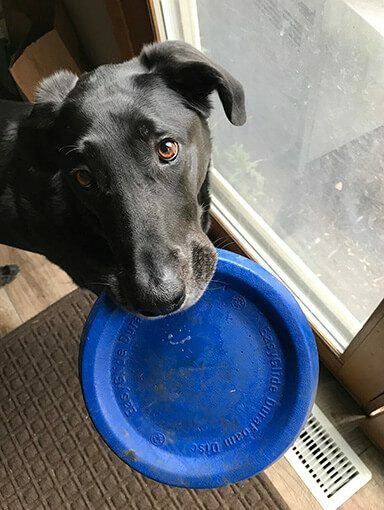 We joined a Toss and Fetch Disc League. I thought what the heck….this would be a great way to see if we liked disc outside of the backyard play by first just joining a local league. Each night of league play we have just two-runs, one-minute each, to see how many points we can earn based on Chase catching my throws on a marked course. Each distance earns different points. Chase seemed to really enjoy it but our challenge was that we would only get a total of two tosses per run because Chase doesn’t have a consistent “drop”. He likes to run around, celebrating when he brings the disc back instead of dropping so I can throw again. Maybe we’ll try again in the spring league of 2019. Or maybe we’ll just enjoy our own toss and fetch fun in the back yard or out on hikes. What are your goals for celebrating 2019? What a year 2018 was! So how are we going to celebrate 2019? I think we are ready, ready to try our first attempt at conquering the NW2 level of NACSW Nose Work. Unfortunately, our success will first be dependent on getting into a trial and that can prove to be difficult. There are a lot of teams entering into the NW2 trials each year. And without sufficient local NW2 trials being hosted it could be a long wait. So far we’ve entered into two NW2 trials being held in March and for both, we are far down on the waiting lists. There is another trial scheduled for June and also in September that we’ll consider entering into once the registration opens. Until then we’ll enjoy sniffing fun in our weekly classes. Along with our trialing goals, I’ll also be working on completing my certification as a Nose Work Trial Score Room Lead. I’ve been volunteering with our local training team since back in 2015 and I’ve found my niche in the Score Room. I love the data and the organization in the Score Room so I’m working to learn the ropes to support our trial team as a Lead. I’ll be busy volunteering at as many trials as I can this year to get certified. We don’t have another big RV trip planned this year but we are going to head down to the Chicago RV show to do some daydreaming. Maybe someday we’ll be full-time RVers. Until then, I do have a few travel plans brewing for this new year. Since our neighborhood is getting out of control with the fireworks during the 4th of July, I am considering a camping trip for Chase and I somewhere quiet during that week. I am not giving up on the idea that there is somewhere in the lower 48 where we can go to get away from the illegal, rude neighborhood fireworks. I’m not ruling anything out as far as location and accommodations. If you have any thoughts please leave a comment below. I’ve also scheduled a learning retreat in September. Nina shared information with me about a really neat concept in energy and training called Canine Flow. I want to bring the very best experience for all my canine fitness clients and I’m hoping this is something I can share with them. So Chase and I will be attending the US retreat in Sparta, Wisconsin being hosted at Justin Trails Retreat and Resort. Looks like a dreamy location and experience. I love setting goals. And what I love even more than that is hiking with my dogs. But like most people, I also struggle with executing goals. I found this really neat challenge from a “Hiking with Dogs” facebook group I belong to called the “52 Hike Challenge”. The challenge simply is to get out for 52 hikes this year. That could mean at least one hike or a week or any schedule that suits you. Nothing more than that. Chase and I already love, love, love hitting the trails. This simple challenge will hopefully get me thinking and planning new locations for us to hike and enjoy. I’m really excited and will be sharing here on the blog along the way. I hope you’ll join along. All in all this new year should be a great one. 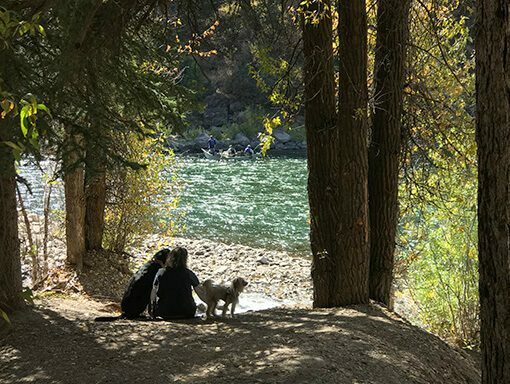 I hope our plans might inspire you to spend more time with your dog and learn new ways to keep the tail wagging. If you enjoyed this post please subscribe to our pack to receive our newsletter. Sharing is caring please also share on your favorite social media channel.